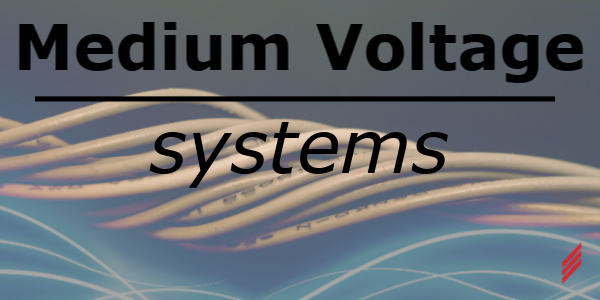 Owning your own medium voltage distribution or loop system presents unique challenges but also provides more tools in the toolbox for addressing issues on the low voltage system. Here are three specific areas of medium voltage protection and arc flash mitigation we can help with. Electromechanical relays need to be calibrated periodically (NFPA 70B recommends every 2 years) and are prone to being ignored. Disk over-travel and pickup delay are common issues which can negatively impact electrical safety. 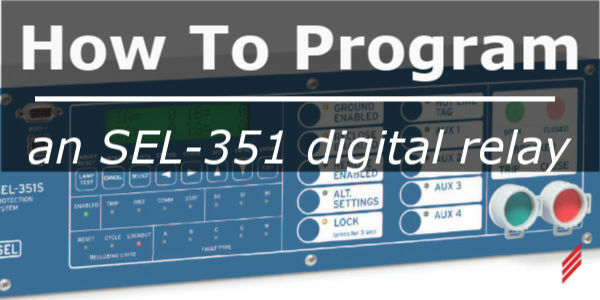 Upgrading to digital relays provides greater reliability and also provides remote trip/reset capability. In addition, digital relays and the power system data they acquire can be easily monitored on a SCADA system. 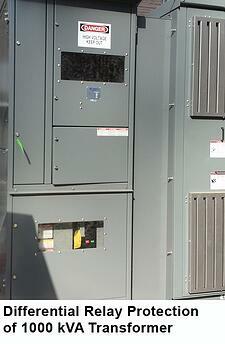 The photo below shows a medium voltage breaker on the right with electromechanical relays on the left. We can retrofit these relays using your existing breaker door with a single digital relay like the SEL relays shown on the right. The automation can be as simple as a touchscreen for trip/reset capability outside the arc flash boundary or part of customized MV SCADA systems. 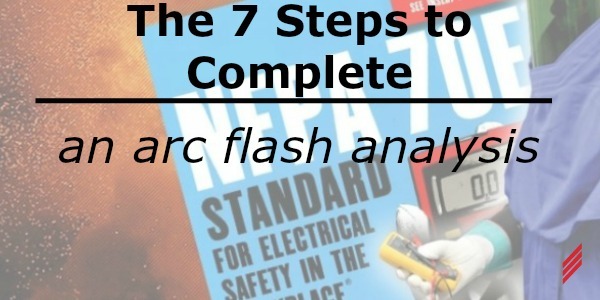 The first device on the secondary side of a transformer typically has high arc flash energy, often exceeding 40 cal/cm2. One way to mitigate this arc flash energy is by applying differential relay protection with a digital relay such as the SEL-787. 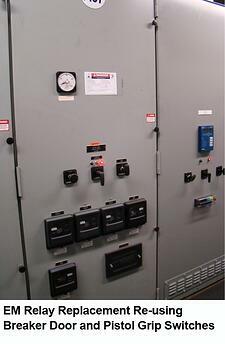 The photo below shows a “virtual main” with a 15kV vacuum breaker on the primary side of a 1000 kVA transformer and a differential relay monitoring primary and secondary circuits. Because there are less than 6 breakers on the secondary side, no 480V main breaker is required, offsetting the cost of the vacuum breaker. 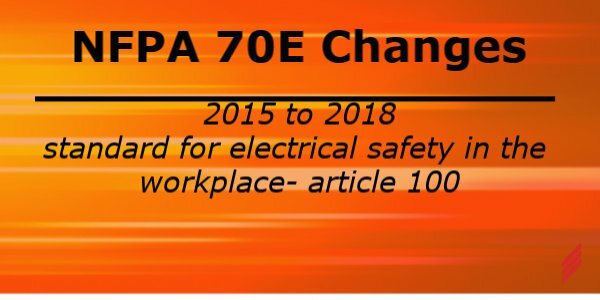 The SEL-787 allows remote operation of the breaker and dual protection settings for normal operation and “maintenance mode” with lower arc flash energy. Hallam-ICS can help specify the components required for your system as well as provide digital relay programming for any manufacturer. As mentioned above, the first device on the secondary side of transformer typically has high arc flash energy, often exceeding 40 cal/cm2. Another way to mitigate this arc flash energy is by applying a manually reset recloser with a digital relay such as the SEL-351R on the overhead pole line. 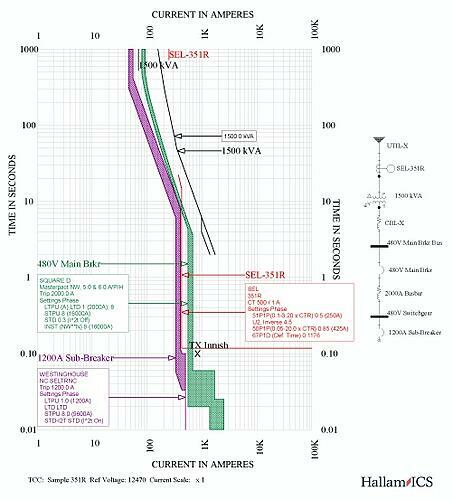 The time-current curve (TCC) below shows a typical recloser protection scheme on the primary side of a 1500 kVA transformer. The 351R relay can be set to operate just above the largest 480V sub-breaker and provide protection for the main breaker without interfering with transformer inrush. Any existing MV fuses can remain without affecting recloser performance. We can help specify the components required for your system as well as provide digital relay programming for any manufacturer. 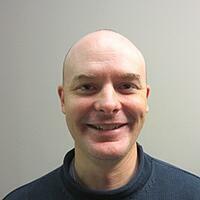 Dan Laird is a Senior Electrical Engineer for Hallam-ICS. He has a BS and MS in Electrical Engineering from Drexel University and is a registered power systems PE in 10 states. Dan has over 20 years’ experience in industrial power systems and has been performing arc flash hazard analysis studies since 2006.